A year after the successful launch of the Glycine Airman SST Chronograph, Glycine announces the arrival of the Airman SST 12, 25th generation of the legendary Airman Line. This eye-catching watch embodies the link between past and present times in perfect shape. The Airman SST 12 is the 25th member of the Airman family since its debut in 1953. Glycine is well known for its individuality and creativity and the new Airman SST 12 that combines unique shapes of a long gone era with the technology of today, confirms that. The new Airman displays three time zones with two time zones shown on the 24-hour display. For true purists, the watch is also available with just two time zones as a 24-hour watch. The SST watch is inspired by the Boeing Supersonic Transport (SST), the first scheduled supersonic airliner that was cancelled in 1971 before the two prototypes had been completed. The illusive plane that never flew is engraved on the steel case back. Glycine has chosen the proven ETA-2893 calibre to power the new watch which stays true to the elegant shape of the original Airman with its 43mm steel case equipped with a large angular steel bezel. The slit-headed crown is another typical feature that stays true to the original watch. The new Airman is available in three colors: black with an orange 24-hour rotating bezel, black with a black bezel and blue with a blue bezel. 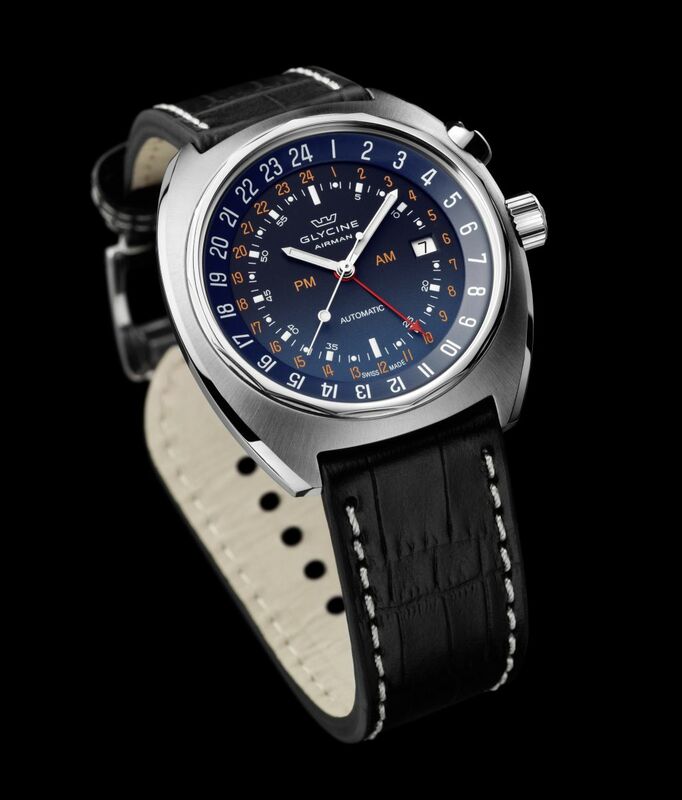 Prices for the new emblematic Glycine Airman SST 12 start at 1750 Swiss francs.